The plow was one of the most important inventions in the history of agriculture. From the early plows pulled by horses or mules to the mechanical ones now towed by tractors, this one farming implement still plays an essential role in the overall health (and success) of your garden. A plow turns over the top layer of the garden soil. It turns and softens it while bringing up a fresh layer of nutrients to the surface – where seeds or plants will be placed. During the garden plowing process, even deeply buried weeds and invasive roots are chopped up along with any remains from harvested crops. The remains of the natural matter can now break down far more quickly to help enhance the quality of the garden soil. The harvest residue, especially organic matter from legumes, infuses highly beneficial nitrogen into the garden soil. The plants left in the garden after the harvest start to break down and dry out before embarking on a fall plowing session. 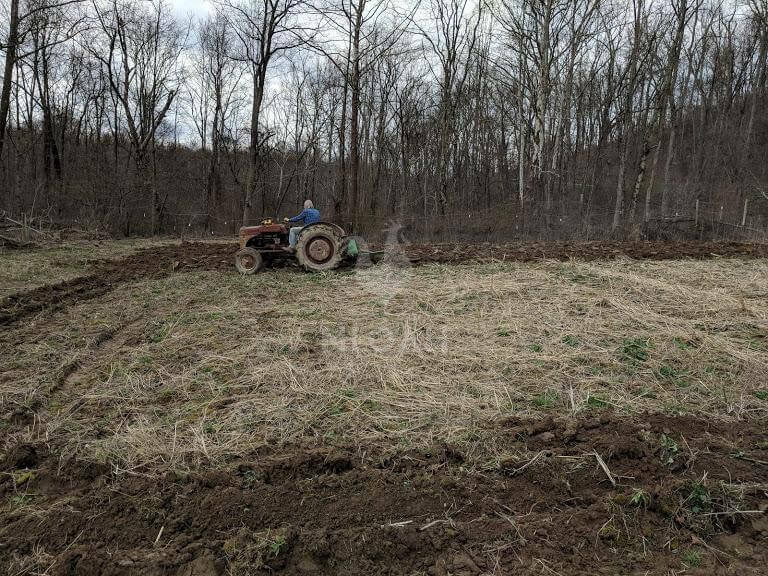 Adding a layer of straw on top of the garden should enhance the aeration process that occurs when the plow turns the dirt, and helps prevent wind from whisking away the nutrient-rich topsoil that becomes vulnerable during plowing. Before plowing, take a walk through the garden area to harvest any wild edibles. Many common “weeds” not only make great salad greens, but also hold medicinal properties as well. While you do not want these weeds growing in your garden, they are mighty fine on the dinner plate. Weeds can be dehydrated and preserved for use in meals or natural home remedies during a long-term disaster. Not only will plowing the garden rid it of weeds, but bugs too. The larvae laid by destructive insects after the harvest are lurking only slightly beneath the ground just waiting for a chance to emerge, and start munching down on your growing plants.The larvae will not be able to withstand a frost or in some cases, even dipping early spring evening temperatures. The only downside to exposing insect larvae in the garden when plowing is the loss of beneficial insects, like nematodes, that will help ward off the bad bugs throughout the growing season. Working the purchase of good bugs into your annual gardening budget is a great idea. Yep, you can (and should) buy bugs to help you keep the burgeoning crops healthy throughout the growing season. The plowed dirt in the above photo is so soft and moist, any gardening fan will find it hard to resist running your hands through it. 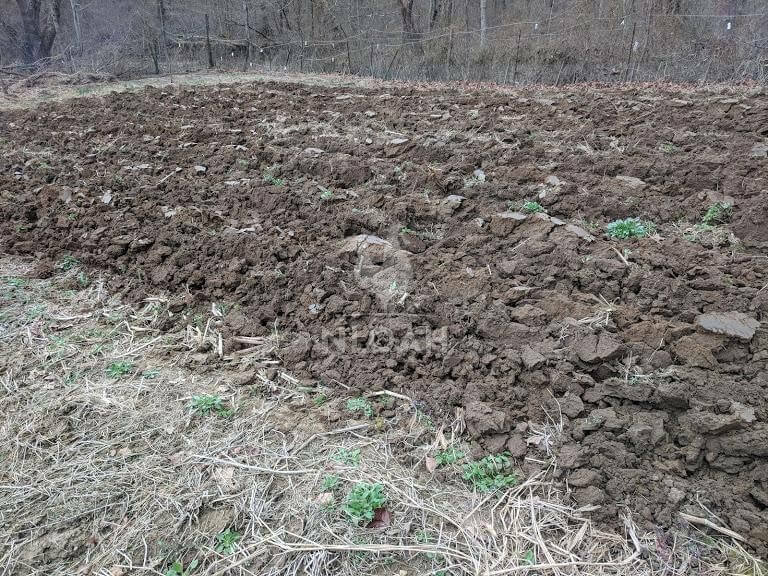 All those large clumps of dirt you see in the plowed rows would have been rock hard by planting time in late May if we had skipped the plowing process and started the growing season merely by tilling the ground. Some gardeners plow the garden both in the fall and in the early spring. A fall plowing was also a part of our grocery growing preparation plan, but Mother Nature did not cooperate. The fall in Ohio last fall was record-setting wet. The tractor never would have made it down a single row before getting bogged down and likely stuck right where it was until spring. Ideally, plowing later on in the fall would have been a good idea, but the weather went from incredibly wet to unbelievably cold, and the ground was too hard more than an inch down, to get the plow through. If you are going to plow in the fall it is best to wait until the temperatures have dipped low enough to kill insect larvae in the soil with exposure to cold temperatures. Waiting until later in the fall could subject you to the same foul weather as we experience here in the Midwest. Plowing a few weeks after the harvest will still break down harvest debris, and the young weeds start to grow in the void left by the harvested plants. To get the most out of fall plowing, till in livestock manure or still processing compost matter, and allow it to infuse into the garden soil until the spring. Plowing in the spring can be conducted as soon as the ground is soft enough to plow after winter temperatures begin to give way to thawed soil conditions. While plowing twice – once in the fall and in the spring is a good idea, plowing a second time in the spring if you missed the chance to do so in the fall, is not necessary. Some gardeners plow as early as possible to expose insect larvae to cold temperatures and against about one month before planting to loosen the soil and kill weeds. Other gardeners feel that tilling twice in the spring can overwork the soil and potentially do more harm than good to the garden. If you live in an area with high winds or even frequent winds in the springtime, you could risk losing quality topsoil when plowing too far in advance of the growing season. 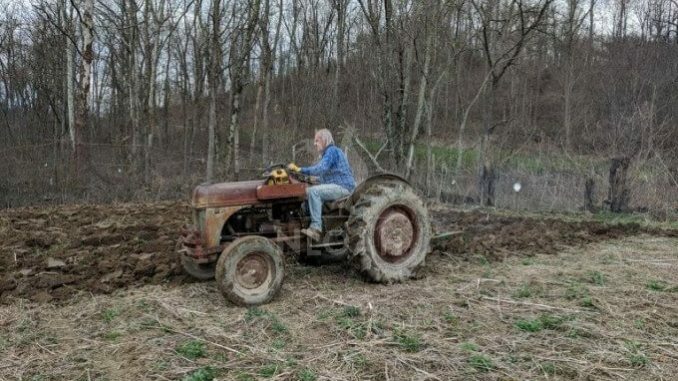 Because a spring plowing will be conducted shortly before planting, any livestock manure or compost added to the growing plot must be already processed, and basically considered quality potting soil. 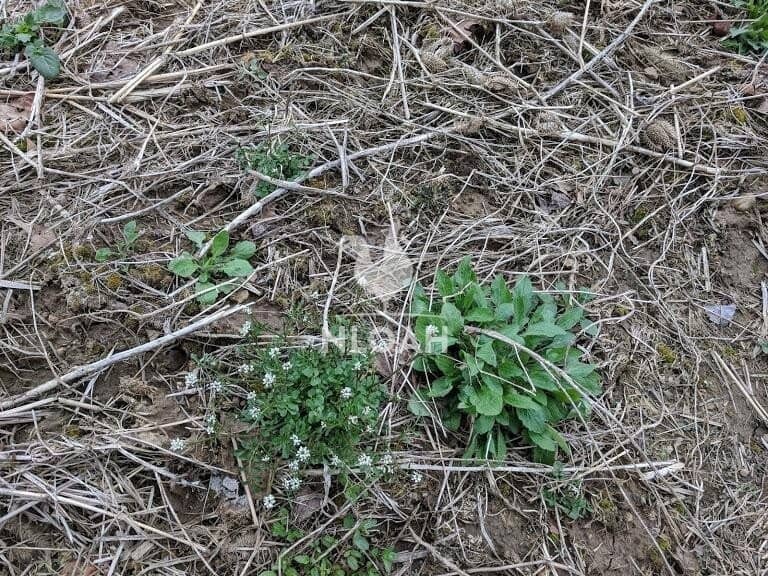 Planting seeds or plants in “green” manure or compost can kill the potential food source in a matter or days, or over the course of about two weeks. The optimal time to plow a garden is when the soil is moist, but not soggy. Attempting to plow through soggy or muddy soil can clog up the plow and compact the soil more tightly instead of turning and aerating it. The best soil texture to plant in is loose and medium weight. Plowing the soil when it’s dry pushes the little moist soil that exists down further into the ground, and away from where you will be putting seeds or plants. Using a plow in dry ground will also make the nutrient-rich topsoil even more susceptible to being blown away by even slight winds. Plan ahead for the time of year you want to plow so you can have compost, seasoned manure, beneficial insects, and straw on hand to help enrich the growing plot. Inspect the growing plot to be plowed carefully, to remove any debris that could harm the tractor or pose a safety risk to the operator, and to harvest any items you want to forage. Choose a direction to plow and stick with it. 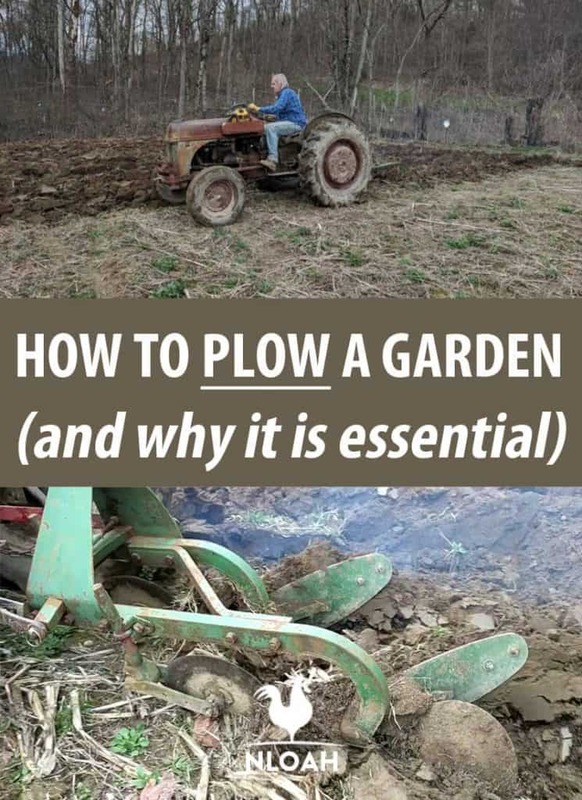 To cut down on the amount of turning and maneuvering you will have to do on the tractor (this is especially important when working with ground that is slightly more moist than you would like) plow in the direction of the long sides of the garden. Make a furrow and plow just a short distance, so you can inspect the area plowed and make any depth adjustments necessary. You should check the depth multiple times while plowing to make further adjustments as needed. If the ground is not 100% level, you will need to adapt the height of the plow to avoid going too deep into the soil. The depth the plow should be set on will vary both by type of soil you are turning, and the crops you plan to cultivate in each row. When planting seeds, the depth that should be plowed is about three times larger in diameter than the seed itself. You can follow these same depth guidelines when plowing rows to place young plants for various crops. 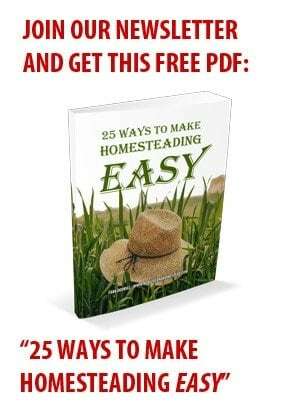 Spread fertilizer onto the plowed garden to enrich the soil. Moldboard – These plows have a curved upper edge, and dig deeply into the soil while leaving a trough style indentation for planting. Disc – This tractor attachment has rows of steel concave discs that move in a revolving fashion as it is pulled through the dirt. They are favored by farmers who must work incredibly hard ground. Reversible – This plow is similar to the moldboard, but uses at least two blades so it can turn a wider swath of dirt at one time. Each blade on this type of plow creates a furrow in the soil. The blades are mounted in a manner that allows for creating evenly spaced furrows in the growing plot. Sub-Soiling – This style of plow breaks up the soil under hardpan chemical treatment layers but does not turn the soil to a extent that it brings it all the way to the surface top. A sub-soiling plow both aerates and tills the dirt while improving drainage at the same time. Chisel – This farm implement tills the soil without disrupting its make up as much as some other plowing options. A Chisel plow has a curved shank that digs into the dirt without turning it. 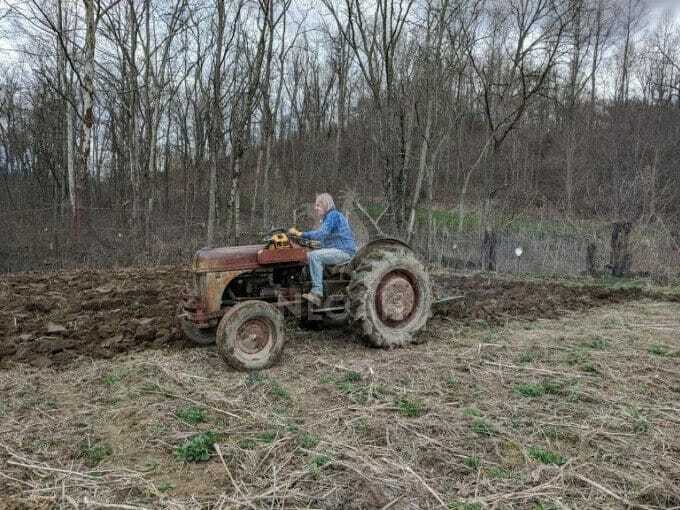 Plowing a growing plot either in the fall or spring, or both can give seeds a jump start that will help them thrive and offer a more bountiful harvest, because they have easier access to moist and less dense growing matter. The soil turning process increases the fertility of the garden dirt, especially when quality compost is broadcast on top of the freshly plowed and aerated ground.